Every new mom knows the challenges of transitioning her baby to solid foods: it's stressful, frustrating, and messy. That's why we took to Facebook to find out your biggest feeding problems—to bring you solutions that work. Read on to learn how to solve your mealtime dilemmas. "Babies need to learn how to hold new textures, flavors, and temperatures in their mouths before swallowing," says Teresa Walsh, London-based midwife and birth educator who provides one-on-one support to new parents. "This takes time, and can result in gagging." The solution: Transition from pureed food to lumpier food slowly, so that your baby can adjust to the change, says Walsh. If you still notice gagging, "start by placing new foods on her tongue with your finger, so that she can get used to the new taste. " And of course, don't leave your baby alone when she's eating. 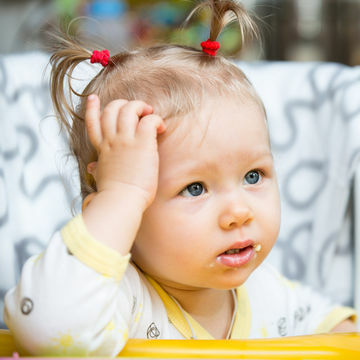 From spitting out food to swallowing it and making a mess anyway, messy eating was one of the most common feeding problems. 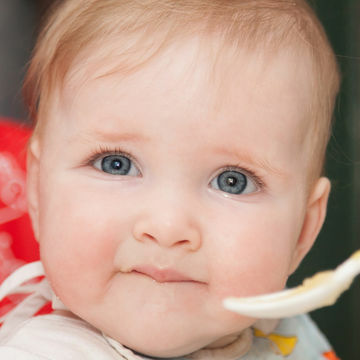 "When a baby first encounters a new taste, texture or temperature, she may spit it out or discard it," says Walsh. Plus, babies are accustomed to latching onto a breast or bottle, making it difficult for them to eat off of a spoon. The solution: "Make sure your child sits with you during dinner, so she learns how to eat and socialize during meal times," says Walsh. (And keep the highchair off the carpet!) 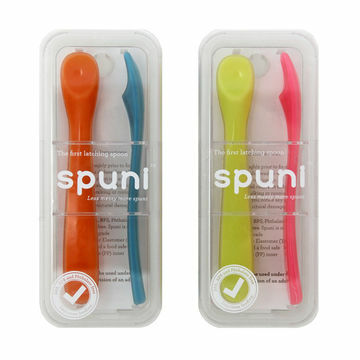 You can also try using Spuni, instead of a regular spoon; it's specifically designed to work with baby's latching instinct, minimizing the mess. "She went on a hunger strike when she was getting her 2-year molars...for 6 weeks!," complained one Facebook follower. "This is a challenging time for babies and parents," says Walsh. Others common problems included: not liking pureed food, meat, and fruit.